Home » News » Who’s At Fault in a Self-Driving Car Crash? Who’s At Fault in a Self-Driving Car Crash? Automated vehicles are a thrilling invention that could change transportation forever. There is, however, a fundamental question haunting personal injury attorneys. 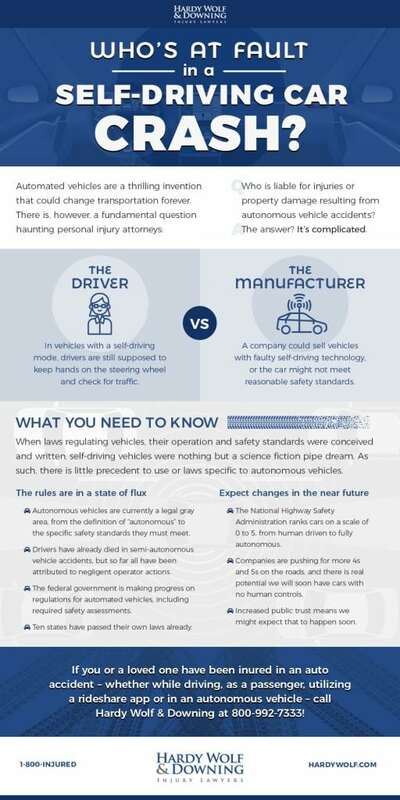 Who is liable for injuries or property damage resulting from autonomous vehicle accidents? The answer? It’s complicated. Check out the infographic below for more information.